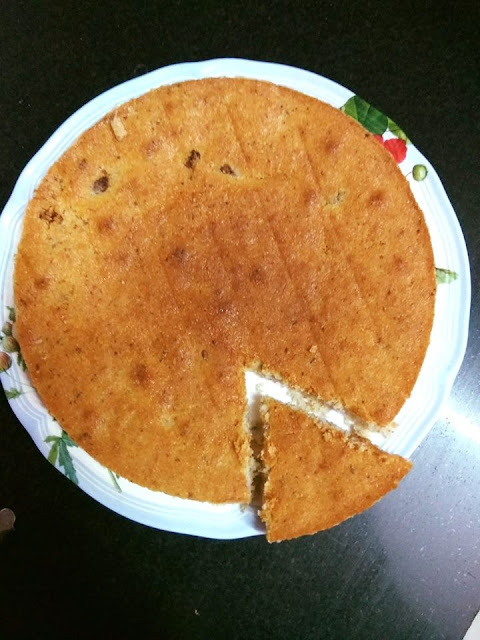 When you are able to bake an eggless whole grain sponge cake without baking powder or soda or self-raising flour, your happiness knows no bounds, right? You might be wondering whether there is something like eggless baking without baking powder or soda. Well, this was exactly what I had been thinking until I tried this eggless cake without baking powder today. What started as an experiment has worked out wonders for me. 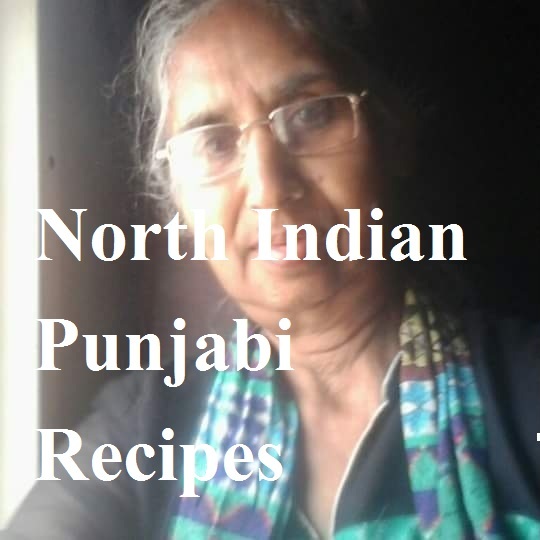 If baking without baking powder interests you, then you will be a permanent visitor here, for we think, live, and eat healthy and primarily focus on baking without baking powder or soda. Although I have baked it in my convection, you can bake cake without baking powder in cooker too. I was trying to hone my cake baking skills while learning a few baking basics. Then struck this idea of baking a cake without baking powder or baking soda. A loved one is suffering from histamine sensitivity, and these chemical agents trigger urticaria, which gives me goosebumps. So I decided to go the other way round - baking an eggless cake without raising agents. You need a light flour here - something that would effectively replace maida/all-purpose flour/refined flour/white flour. I remember one dhaba wala telling me once about how they replace maida sometimes - using a mix of jau and rice flour. So this is exactly what I needed. This has given me one of the simplest yet tastiest cakes. Please do not change the flours, as I am unsure how any other flour would work here. I will experiment with them first and report to you all. Here's an update on the flour - you can use any type of flour here, since it's more about whisking and sieving than the type of flour. Okay so let's talk a little about the flours here. Perhaps the sponge cake without baking powder, soda or self-raising flour is little denser, but I still love it for its sheer exclusion of chemical agents. What better than a chemical-free eggless cake? It is my version of fruit cake! Packed with important vitamins and minerals, barley is one of the healthiest cereal grains produced. But this healthy grain has not earned the same reputation and popularity as oatmeal and whole wheat flour. Nevertheless if you learn the benefits of barley for health, you would certainly make it a part of your regular diet. The wonderfully versatile cereal grain is loaded with dietary fiber, magnesium, B vitamins, copper, niacin, chromium, and phosphorus, among others. With a nut-like flavor, barley does make a great grain for healthy cookie recipes. Mix barley with other whole grains, such as wheat flour, to bake healthy cookies, cakes, and muffins. 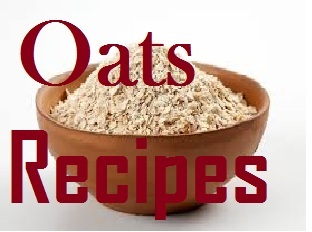 Barley does make a flavorful addition to healthy whole grain biscuits recipes. Use cooked barley flakes as a tasty salad. How about trying a hot nutty barley soup or hot cereal meal? Why not add barley flakes to nuts and make healthy snacks? You may add coconut powder or almond powder for more intense flavor. But I loved the eggless sponge cake even without any fruity flavor or artificial essence. If you are proud of your muscle power, it's time to show some here. I promise it will work magic for you in the oven, especially for a loved one who is intolerant to chemical agents, leveaners, or raising agents. 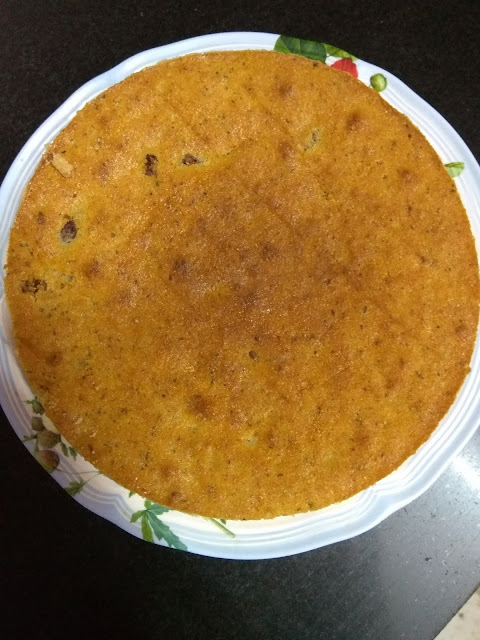 This eggless cake without baking powder, soda is a perfect gift for someone you love but who is suffering from histamine sensitivity. This eggless beauty has amazed me. Even without any flavoring agent, it is bursting with flavors. Preheat oven for 12-15 mts at 170 degrees. Keep a cake tin greased with oil and dusted with dry atta aside. Keep flax seed powder soaked in warm water aside. I wanted to use an equivalent of three eggs, but unfortunately had little more than 1 tbsp of flax powder, so went ahead with it. So this makes it as a substitute for 1 egg. It means you may try with an egg as well if you do not have flax seed handy. Mix malai/cream with sugar. Vigorously whisk until your arms start paining. I kept whisking with my hand whisker for around 30 minutes. LOL. Yes, this holds the key to inserting air bubbles in your cake, which make it lighter, soft, and moist. (kind of - I am still learning cake baking basics). Check this link to learn more. I actually added curd, cream, and sugar powder together. So my mix initially looked like paneer. Then it left a little water as well, but I kept whisking until it looked creamy - better than before. So I think it is a good idea to whisk sugar with cream first until it forms a creamy mix and then add curd and whisk again until it wears a bubbly creamy look. I leave it to you. It was simply an experiment and I am so happy with the result. When your arms resist any further whisking effort, take a little break. Start sieving all the flours, including milk powder, 8-10 times - the more the better. This is another crucial step. Since we are making no raising agent cake, this becomes even more important. Please continue to sieve as long as you can. You will be aerating the flours that will make them lighter and ready to go into the wet mix. Keep raisins and nuts coated with dry flour powder. While sieving, I added these nuts to the flour, so this ensured that the flour coated them well. When you are done with sieving, it is time to whisk the wet mix again. Continue with your whisking marathon. You know this is exactly what your grandmoms and great grandmoms would do. I have heard that they would whisk the wet mix for almost 2 hours- OMG! I wonder about their woman power - na muscle power. Drop in elaichi powder in the wet mix. WHISK AGAIN. Yes, I am making you run a whisking marathon, but it does help give you soft, airy cakes without any chemical agents. I would better run these marathons than adding raising agents in my recipes. Now is the time to fold in the dry ingredients. Well, make a well in the center of dry ingredients. Start pouring wet mix. Fold the batter in the same direction until just mixed. PLEASE DO NOT WHISK NOW. YES, NO MORE WHISKING. It is as simple as that. Just fold. I used my hands for folding the batter. Pour the batter into the baking pan. Tap it gently 4-5 times. Now it's time for baking the eggless cake. Place a rack in the microwave. Keep the baking tin on top of it. I baked it in my microwave convection mode of 170 degrees for 28 mins. You may bake it in your oven. I am sure this will be easy to bake in cooker as well. Allow the eggless sponge cake without baking powder, soda, or self-raising flour a 5-min standing time. Remove the cake no wheat from the oven and allow it to cool down before unmolding your baked beauty. Trust me, this is one guilt-free cake that you would want to indulge in every time. I am thinking of the options with this cake. It can work well as a fruit cake. Did I say it tastes just like a fruit cake? So imagine if we add fruit puree as well? I am thinking. Put your thinking caps on too! I am unsure how this eggless cake recipe would come up if you try to double it. I will need to experiment to confirm that it would work. Feedback on no raising agent cake: yes, baking without baking powder, soda is a reality now and getting viral too! This is what Kalai Rajesh has come up with. So now you can believe my words that a no raising agent cake or cupcake is very much possible. Any takers? 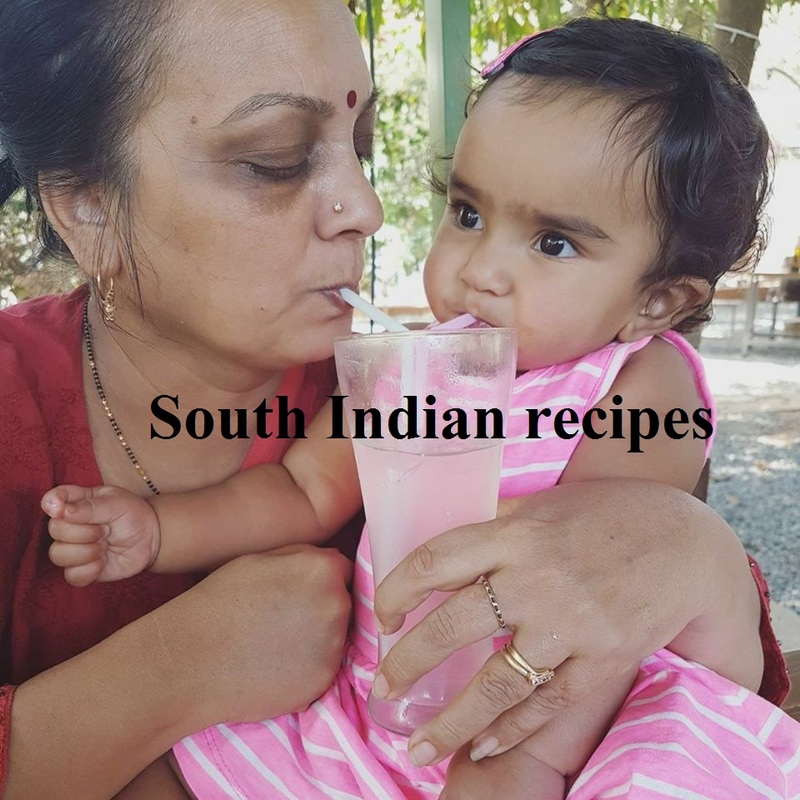 Check her innovative recipe here. 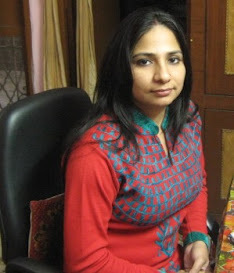 I would love to hear back from you, Poonam. Your feedback means a lot! 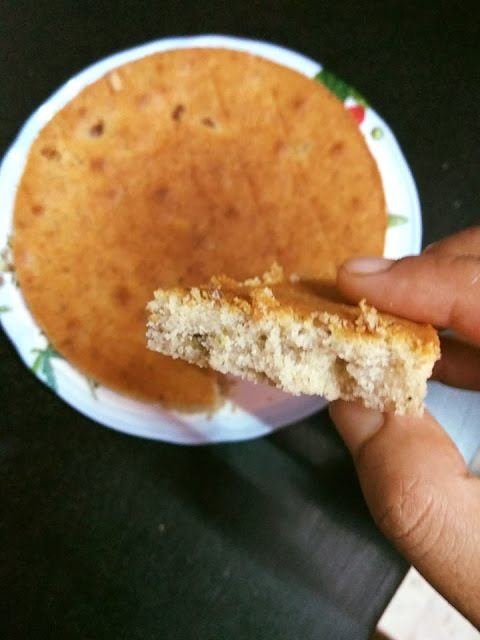 Yes, one of the yummiest, simplest eggless cakes ever. Do give it a try dear. Would love to hear back from you.